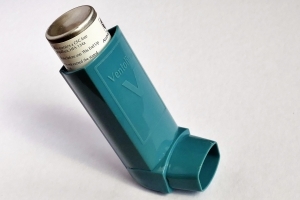 A large randomized, controlled trial found that an integrative medicine approach to asthma treatment demonstrated improvements in both quality of life and physical and mental health, according to a May 3 press release. The study looked at 1,445 patients allergic asthma patients, who received acupuncture in addition to routine care over a three- and six-month period. Patients in the active arm received an average of 15 acupuncture sessions during the first three months of the trial and no acupuncture between months three and six. As a pragmatic trial, reflecting real world conditions, a majority (70 percent) only received 5-10 visits. The successful results, reported after three months of treatment and maintained through the 6-month follow-up, are described in The Journal of Alternative and Complementary Medicine (JACM). The article, Acupuncture in Patients with Allergic Asthma: A Randomized Pragmatic Trial, is available free on the JACM website until June 3, 2017. Article authors Benno Brinkhaus, MD, and coauthors from the Charité Universitätsmedizin Berlin, the Universität Freiburg, Germany, and the University of Zurich, Switzerland, undertook the study as part of a governmental assessment of the practice.